Do you find yourself searching for fun activities for math in the fall?I know I am always looking for new ways to engage my students and to allow them to practice their math skills while doing guided math or during our guided practice in lessons. 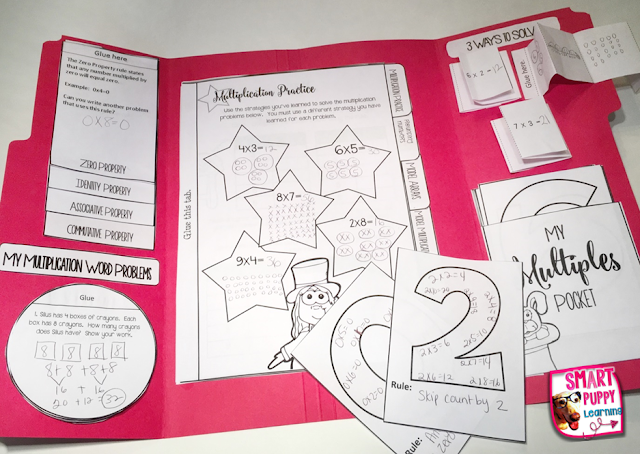 Here are three of my go to resources for teaching multiplication this fall. I have gone back to an old favorite this fall, Go Fish! My students LOVE this game. To play Go Fish, students take a deck of Go Fish cards, they shuffle and pass out cards until each person has 7 cards. The rest of the cards go in a pile. Each student takes a turn asking someone else in the group if they have the card that matches theirs. For instance, if the student asking has the card 6x4= then they would ask someone else they are playing with "Do you have 24?" If the person has it they get the pair. If they do not, then they say "Go Fish" and the person who asked has to draw a card. The person who runs out of cards first wins. You can find a free version of this game by clicking the image below. My second go to game this season has been Clip-Its. I use these in centers as fun way to practice skills in word problem format. Students answer the question and a friend checks their work and confirms their answers are correct. I have used these for both multiplication and place value. They are a great, easy to use center. I've also used them as review by taping them to the wall and using them as Task cards instead of just clip cards. They are very versatile and great to use. Another favorite game in my classroom that is super simple is Multiplication War. I hesitated to mention it because it is a fairly common game, but then I ran across a teacher I work with who had never used it. 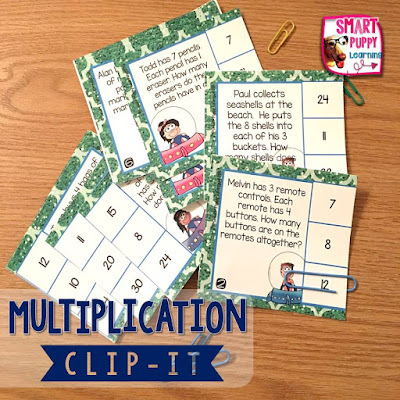 To play multiplication war students simply pass cards out as they would in war and instead of the person with the larger number getting the cards, the person who can multiply the two numbers and answer it first gets to keep the two cards. 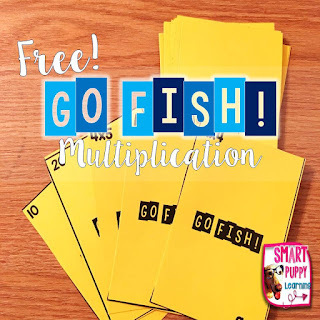 My kids love to play this and it is a great no-prep game for multiplication. Last, but not least, as we are learning our multiplication strategies, I love to teach it with a lapbook. To do this I use the lapbook below and I use the notes sections of the lapbook for mini lesson concepts. We then use the side parts for practice in class. My student love using this to learn the different strategies for multiplication. 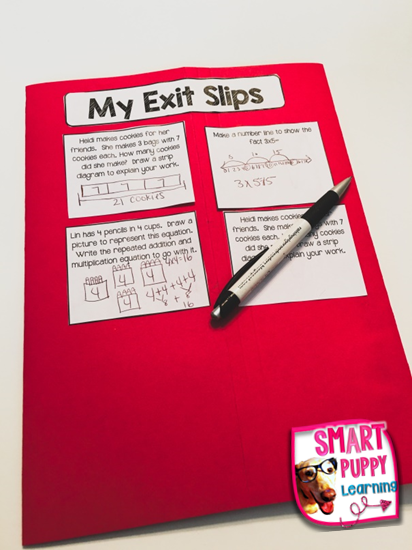 Another great aspect of the lapbook is the exit slips that my students glue on the back. We answer one question a day and glue it to the back. This allows me to quickly check their understanding and to sort the folders into who gets it and who needs help. I then pull the students that need help during guided math the next day. I love that they are attached to the back of the folder and easy to keep up with. I use a rubric to grade the pack and send home an extension activity for parents to do at home as well. I love that this is a great artifact of our learning for parents to see at home. 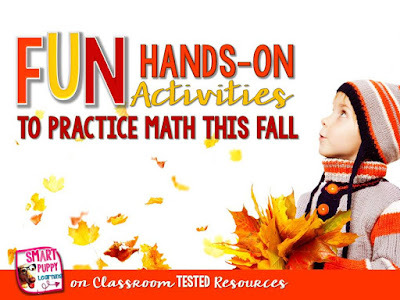 I hope you will find these activities useful this fall as you teach multiplication! 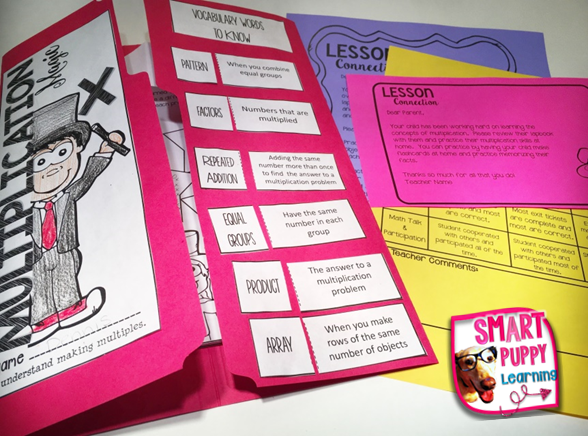 Thanks for stopping by, I'm Tonja Irvine from Smart Puppy Learning and you can find more great math ideas at my blog.